I have two cards to share today using The Alle Way stamps. 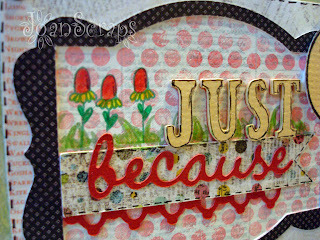 For the main image I used one of the cupcake images from the Hey Cupcake set to make the crystal bowl. I stamped the cherries and applied a coat of Distress Rock Candy crackle paint to give a real effect to the glass bowl. 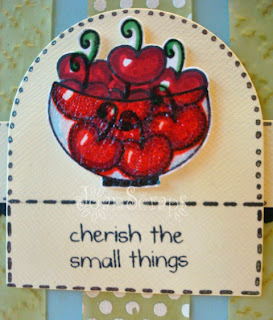 The sentiment is from the Talk To Me set. 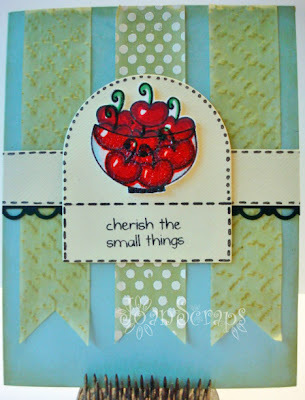 I decided to use some of my yummy Vellum for the card strips. For those, I embossed one with a polka dot stamp and white powder and the other two using an embossing folder. Then I sponge some Shabby Shutters distress ink to add color to the vellum. 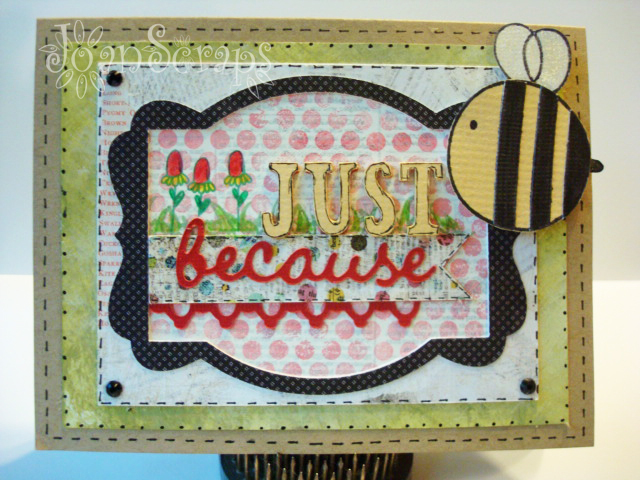 Then Just Because, I combined two of my passions and two of my favorite shops to make a card. I used my beloved KNK Maxx to cut a card from the Everyday Cards collection from SVG Cuts. I used an BG 6x6 paper card to cut the different elements of the card. 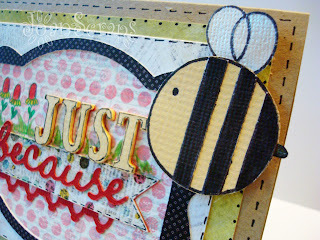 I love the bee from the Priceless Joy set so I decided to use that image for my card. 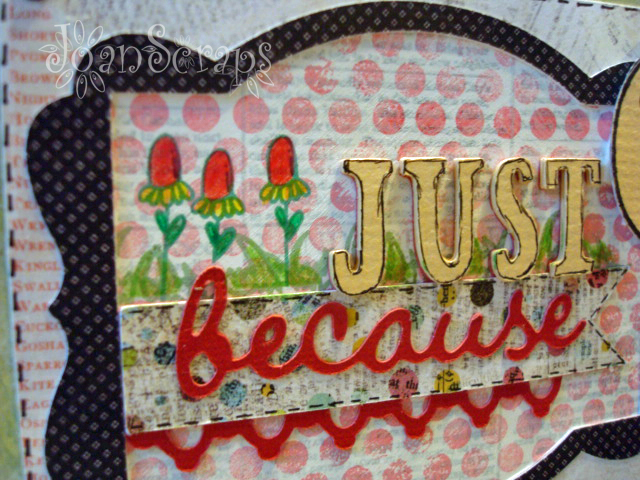 I also added some grass and flowers from the Crazy Critters set. I made the green background paper using acrylic paint in green and white. 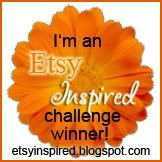 I hope you like my cards and be inspired to create a card and participate in the Be Inspired challenge. I'm sure you will love some of the freebies Alison has. Hope you have a great Sunday night!! Bellas tarjetas, bien elaboradas y con muchos elementos hermosos! gracias! Wow! Joan tremendo trabajo. Te felicito también por el premio ganado y felicidades a tu hermana. Tu, nena, tu trabajo hermoso como siempre!!! Felicitaciones por el otro premio. Preciosas tarjetas! me encantan esos colores primaverales. Felicidades por tu premio, wiiiipitiiii!!!!!!!!!!! 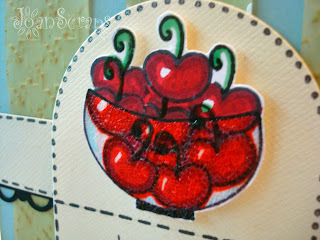 Gorgeous cards Joan - love the cherries in the bowl!